Its principal disadvantage is that it is highly chemically reactive with oxygen, in water or in air. It must not be exposed to either so it must be maintained in an inert gas environment. Argon, a relatively common noble gas, which itself is completely non-reactive and heavy enough to blanket surfaces and keep them blanketed, is the obvious choice to do this. Its opacity is little more than a nuisance; techniques have been developed over the years to deal with it. Editor’s Note: Click here to download a PDF of an excellent 50-slide presentation from Argonne National Labs, called “Sodium as a Fast Reactor Coolant“. The two Argonne images shown above are slides from that presentation. The IFR uses a pool, rather than loop design, with the non-radioactive secondary sodium circuit immersed in the primary reactor pool and then directed to a double-walled sodium-water heat exchanger in a separate building, where the steam is generated. The reactor configuration—that is, the arrangement of the vessel containing the core and the necessary piping—is important too. The piping that carries sodium coolant exposed to radiation in the core, the primary sodium as it is called, mustn’t ever leak to the atmosphere. Primary sodium is radioactive; short-lived Na-24 is formed, which has a fifteen-hour half-life and decays with two hard gammas, at 1.38 and 2.75 MeV. Gamma radiation at energies this high is penetrating and hazardous to humans. Its half-life is short enough that it dies away reasonably quickly. But as sodium burns in air with a heavy white smoke, radioactivity would spread from a leak. A pool configuration eliminates this possibility. It keeps all primary sodium and its associated piping inside a double-walled tank. Radioactive sodium is never exposed to the atmosphere, if the primary system does leak it merely leaks sodium back into the pool. The heat in the primary sodium is transferred in a heat exchanger inside the tank to a secondary cooling circuit. Only non-radioactive sodium from the secondary cooling circuit is brought out of the vessel. This piping may develop a leak, but there can be no spread of radioactivity from it. Radioactivity from sodium leaks is a non-existent problem in the pool reactor configuration. It should be noted that of the two possible reactor configurations, pool or loop, each is suited to one particular coolant type. The water-cooled reactor, because of its high pressures, needs a small-diameter reactor vessel and the loop design is almost mandatory. The sodium-cooled reactor, because of its low pressure coolant can have any sized vessel. The primary coolant is radioactive, so it’s best to have primary components, piping, and connections inside the primary tank. The pool is a natural choice, and it was the choice ofArgonne’s designers of EBR-II in the late 1950s. The loop design, of course, is possible, and in fact it became the choice for theU.S.breeder development in the late sixties and seventies, and several of the breeder reactors built around the world were given this configuration, but for a number of reasons it is not the natural choice for sodium cooling. As will be seen in the chapter on safety, sizing the pool to provide enough bulk sodium to absorb the heat of accident conditions adds some remarkable extra safety properties to the system. It allows safe regulation of the reactor power even under conditions where an accident has disabled the control and safety systems (see image above). In such an accident the massive pool of sodium provides ballast—heat can be absorbed until the natural reactivity feedbacks of a metallic-fueled core come in strongly enough to reduce the reactor power to harmless levels. These “natural reactivity feedbacks” reduce reactivity as the core expands from the increased temperatures of an accident. Neutron leakage is much more important to reactivity in a fast reactor than a thermal reactor. In a fast reactor, neutron cross-sections are small and neutrons typically travel tens of centimeters before being absorbed, compared to distances of fractions of a centimeter in thermal reactors. The core dimensions are small too, so a large fraction of the neutrons are born close to the boundaries and many leak from the reactor. Small increases in the core diameter due to temperature increase in turn increase neutron leakage in the axial direction and give reactivity reductions sufficient to reduce reactor power. It seems to share some of the same merits as the coolant used in an LFTR (molten salt). Low pressure operation being the most important one. The key differences being that FLiBe is a bit harder to manufacture (due to the need for Be and Li-7 enrichment), can operate at higher reactor temperatures and doesn’t have any reaction problems with oxygen. I noticed that Argonne, due to their intense work on sodium coolant, has a non-factual bias against other coolants. For example in that presentation about coolant choice they make numerous mistakes wrt lead coolants. Pumping power for example is actually acceptable because of lead’s reduced neutron interaction that allows wider coolant channels (increase free convection). Also while lead is corrosive to standard alloys, it is not corrosive towards other alloys (eg molybdenum alloys). And while lead is heavier than sodium, you can design lead pools to be shorter to deal with that. Seems like Argonne assumes that switching to lead would not change the entire reactor design and dimensions, and then they use that assumption to show lead doesn’t work, which is silly. Of course the engineering changes with different coolants. I can see the reasoning for sodium is certainly there. But I also see that lead never got much of a chance due to some of these perceived intrinsic problems, such as corrosion and pumping power requirement. Lead has a higher specific heat capacity than sodium and a less extreme (but still excellent) thermal conductivity (reduce thermal shock). It seems to me that lead would allow cheaper containment design due to its inertness (cheaper, single walled steam generator too) and would be easier to convince to the public of the passive safety. You can show people a bunch of molten lead pouring into a bucket of water and nothing will happen – the lead will solidify and that’s that. But doing it with sodium is scary. That’s a tough mental image to fight. We’ve all been to high school and college chemistry classes or have seen videos of molten alkali metals exploding in water. I know people complain about lead’s higher melting point, but molten salt reactors have operated with far higher melting point and there were no major freezing issues. In any case I hope to see a more honest and better informed debate about cooling choice, for example Argonne could admit that they went for sodium early on so they sticked to what they have chosen (which I will concede is a good argument). posted 12 March 2012 at 1:30 AM by Cyril R.
FLiBe also has 5x the volumetric heat capacity of sodium, which reduces equipment size and cost. It is also transparent across an even wider wavelength than water, so that means easier instruments and inspection. FLiBe does moderate, but because of its high volumetric heat capacity, coolant channels can be thin so it might not moderate too much even for a FLiBe cooled IFR. FLiBe does have beryllium which is toxic so needs containment, so its containment requirement is probably similar to sodium (but for a different reason). But any primary coolant will need good containment due to short term activation. FLiBe is better than sodium in activation but still has some short lived isotopes from fluorine absorption. FLiBe has a much higher melting point than sodium so you can not have the reactor at such low temperatures (for eg refuelling) as a sodium cooled reactor can. Lots of pros and cons, clearly. The issue of coolant choice is much more complicated than it seems at first. posted 12 March 2012 at 1:36 AM by Cyril R.
Argon is opaque? Or is transparency somehow an issue? They obviously mean the opacity of sodium coolant, not the helium or argon reactor cover gas or argon containment blanket gas. It’s true that various non-optic instruments have been developed to inspect and repair inside opaque liquids. Electromagnetic such as eddy current (for thinwalled components only though), ultrasound, gamma spectrometers, and x-rays to look deeper into a pool. The company I work for routinely uses such instrumentation for inspection reports (except gamma ray spectrometry, which is only used in nuclear applications as you need a gamma source for this to work). posted 12 March 2012 at 6:09 AM by Cyril R.
Could a Na cooled reactor be used with the Brayton cycle, i.e., can it be run at a sufficiently high temperature? If so, that might be better than using the Rankine cycle. Unless a Na cooled reactor can be run at a high enough temperature that water cooling is not required to condense steam, the LFTR will have one more advantage over it. Folks, for an unbiased comparison of the various coolants considered for fast reactors and a thorough discussion of their characteristics, read the PDF linked above in the “Editor’s Note”. 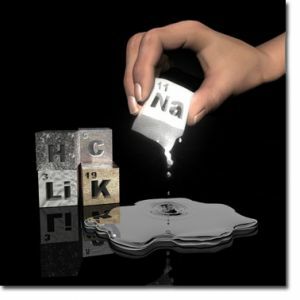 On balance, considering all the factors, both positive and negative, sodium looks like an excellent choice to me. Lead is problematic for various reasons: higher melting point, weight, activation (polonium-210). Of course the Russians have used PbBi coolants for many years now and vend two such thermal reactor designs for power production. A serious concern for me is that the PbLi coolant must be kept isolated from the environment for about 100,000 years. And everyone mentions the corrosion problem, and there’s no indication that it’s really licked. 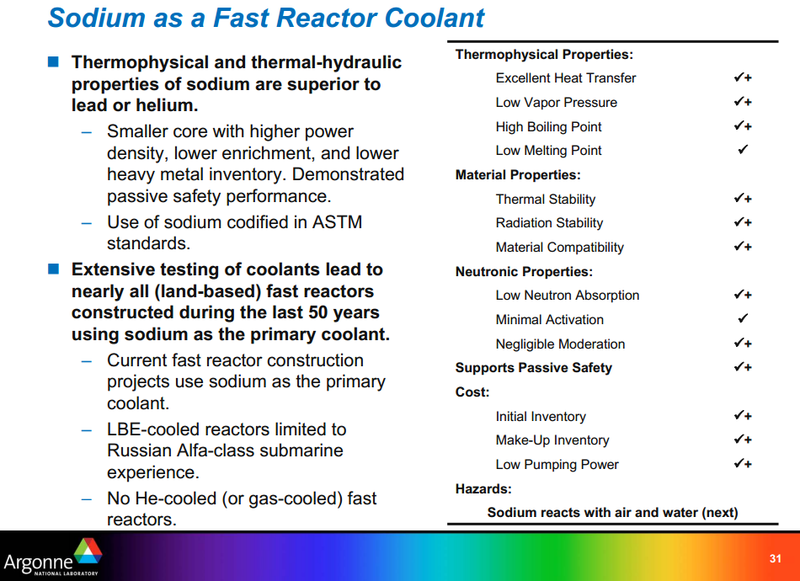 Sodium coolant has many advantages but a major problem defeats the fast reactor-its proneness to fire. Lead and the salts have corrosion of metals as the bugbear. Flibe also suffers from the high purity of Li7 required (99.995%). Magnesium and Aluminium – the next two metals in the periodic table, deserve careful study. They burn at higher temperatures, reducing the fire risk. Their neutron absorption and moderation effect is less than that of sodium. Thermal conductivity is even better. Volumetric thermal capacity is better. However, the melting point, even of a Mg-Al eutectic is higher, comparable to that of salts- nearly 450C. I have suggested it ti the Indian BARC who are studying it. Lead is problematic for various reasons: higher melting point, weight, activation (polonium-210). Lead’s higher melting point isn’t problematic, certainly not with a large stationary pool type reactor. Two molten salt reactors using NaF-ZrF4-UF4 and LiF-BeF2-UF4 were succesfully operated and these have much higher melting points than lead. And these MSRs were small and loop-type (more freezing issues than big pool type reactors). There is very little polonium production with lead. It is very large with lead-bismuth yes, but quite tiny with pure lead. Activated sodium activity is far bigger than this, and it’s gamma rays need very thick shielding. Weight is not a problem, you just build a more shallow pool and use more structural support. At worst its a small economic penalty. With sodium you have serious containment costs, double walled steam generators, etc., that offset this. Its much easier to argue that sodium is problematic; its intense reaction with air and especially water, combined with its activation with an intense 15 hour half life and accompanying strong gamma emission, make it much more expensive to handle and use. Also voiding – which has a positive feedback in high breeding ratio IFRs – is not completely eliminated with sodium because its boiling point is only slightly larger than the maximum design basis transient temperature. Lead’s much higher boiling point (1750 degrees Celsius) solves this. Especially the sodium bond is problematic in a beyond design basis accident, because the temperatures inside the cladding are much higher. With a lead bond you don’t have issues. Again I don’t like Argonne’s information on coolant choice. They are too poorly informed on the other coolants and competing designs, so they come up with “problems” that don’t exist in the real world reactors that have appropriate materials selection and design. Also I must stress that sodium has a bad rep. Horrible in terms of public relations. There was a major sodium fire here in an industrial facility, that had argon extinguishers and all that. Didn’t help, big fires broke out anyway. He doesn’t even get the basics right (thinks gas turbines run on fluoride salt, does not understand that there are diluting fluorides as carrier salts, etc.). The fact that he’s widely quoted shows that few people understand MSR basics (even physics basics, regrettably). As for corrosion, with fluoride salts in chemically reducing operation it is far lower than hot water corrosion (you know, that stuff that today’s reactors use as coolant). Hot water is surprisingly corrosive, so special alloys must be used for the parts that contact it (liners, steam generator tubing, etc.). It is true that MSRs rely on a more simple method of corrosion control; they can’t use protective oxide coatings, so they use materials materials that are “noble” in the salt, such as nickel, carbon/graphite, molybdenum, etc. There were however two issues that arose with the Hastelloy N structural alloy, early on in the MSRE program, which Peter is referring to as corrosion issues. One was radiation embrittlement, which was solved by adding carbide phase controlling metals such as niobium to the alloy. The other was shallow cracking after straining, due to tellurium attack. That was solved by keeping the salt in more reducing condition, causing the tellurium to be present in (reduced) metallic form that is less aggressive. Also the niobium addition helped. This is an excellent blog post. I should buy the book soon. Thanks Barry for disseminating ideas about this technology to novice readers like me :) Thanks Cyril above for the elucidating comments on the alternate options of using Lead and FLiBe as coolants. I should admit that this type of information is absolutely useless in arguing with the anti-nuke establishment and their footmen. There are many points in this blog where their heads will explode with terror : as they hear “primary sodium is radioactive” or “sodium reacts with air or water”. I was also looking for information within about how the IFR coolant design is different from that of the Monju nuclear plant, which suffered an accident. Kiran, on your question re: Monju. That reactor uses a ‘loop’ rather than a pool design, and the fuel type is oxide (a ceramic, with machined-precision-fitting cladding), not metal with a sodium bond. So all of the critiques in the above post (and some subsequent comments) that refer to oxide fuel and loop designs apply very much to Monju, but not to the IFR. Cyril, one thing I’ve wondered (not quantified) about lead coolant — do you have an estimate for how many tonnes might be required for a large (1 GW) pool reactor? Sodium coolant has many advantages but a major problem defeats the fast reactor-its proneness to fire. Could you elaborate on what you mean by ‘defeats the fast reactor’? Are you referring to the addition cost of installing double-walled piping and an inerted argon atmosphere in the heat exchange buidling, or the ‘outrage potential‘ (to borrow a recent term from Ben Heard) about the perception of a water-sodium reaction? Barry – good question. I looked at the ELSY design and they don’t specify inventory. But it looks like the vessel is a half sphere, 9 meters tall. So that would be a sphere 4.5 m radius divided by 2, which gives [crunching numbers] 382 cubic meters of volume. The ELSY is 600 MWe so 382/0.6 would be 637 cubic meters of lead per GWe. At a density of 10 at operating temperature, this would be 6370 tonnes of lead. Though the vessel looks to have a bunch of core, steam generators and such in it, the actual figure would be lower. Still 6370 tonnes of lead per GWe isn’t too terrible, at a lead cost of $3000/tonne would be 19 million $. The seismic base isolators and structural support would cost some more though. Thanks for the antidote? (anecdote?) and all the details. I should have noticed myself about the turbine driven by the molten salt. That and the fact that the site author doesn’t seem prepared to engage with critics should have put me on my guard about that otherwise plausible looking site. Thank you for the informative comments. I found the book well worth the read, and these comments do help in critiquing the book. The calibre of technical critique is very high indeed. Key strengths are the extensive development and testing of the metallurgy, full process design and test with full fuel reprocessing, management of waste issues, discussion of proliferation resistance, etc. I also hope to see both LFTR and MSR pursued aggressively, and the use of alternative coolants such as lead. Each will succeed on its own merits in meeting the needs of various economies in countries world-wide. The market is enormous for clean, safe, non-FF energy. I don’t think the neutron activation (of Na-23 to Na-24) is a really big deal for sodium coolants. Sure, the primary sodium becomes significantly radioactive during reactor operation, but that’s not really a big deal – it’s hardly different from the formation of highly radioactive but short lived nitrogen-16 etc. in a BWR, which makes the turbine radioactive during reactor operation. Why is the loop from the fast reactor to the steam generator filled with sodium? Is not there another choice which completely eliminates a sodium-water reaction possibility? Maybe lead could be looked at as a secondary loop coolant? It seems to be a popular second place choice. As long as the heat exchanger wall material is inert with both sodium and lead it should work, right? Sodium fires in UK, Japan and other places caused a setback to fast reactor development. At present fast power reactors are under construction only in Russia, India and perhaps China. My comment on sodium fires defeating the fast reactors was a rhetoric on this problem and effects. The perception will remain even after some fast reactors are successfully working in Russia, India and China. Safer coolants and containment for them are the real issues in fast reactor development. As per BNC Comments Policy, please supply references to back up your comments. Further violations may be deleted or edited. I have a question for Dr. Till. I was wondering, do you agree that we are past peak oil, and a few years away from global peak coal, and maybe a decade from peak gas? How many terawatts do you think the world should use in 2050? And, have you read my book about the IFR? Also, another question for doctor Till, what do you think will be the best energy carrier for transportation? Ammonia? Obviously, electric trains and nuclear ships. N-16 has a very short half life, so while it is extremely radioactive during operation, it’s not very radioactive anymore after 5 minutes of shutdown. Na-24 has a half life of about 15 hours so stays nasty for days after shutdown. So you can’t do human repairs for days after shutdown. It’s not too bad a deal, if you design for that, ie don’t need much human maintenance for the primary loop. During a beyond design basis accident however, Na-24 is a potentially serious short term hazard, while N-16 is not (the N-16 decays before it reaches the public). The fact that Na-24 is reactive, mobile, and intensely radioactive at the same time does make it an important risk factor that has to be designed for (looks like the IFR design is pretty robust in this area). The second loop in the IFR also helps a lot. Any steam-sodium reaction, if it ever occurs with double walled steam generators, will be in the second loop. That is not radioactive, as there are no neutrons to activate the sodium. MSRs do have this issue, as there is some delayed neutron flux in the primary heat exchanger that causes some activation of the secondary coolant. On the plus side though there is no driving force to push any activity in the environment (no rapid chemical reactions or volatile stuff). Of course with the high activity of Na-24 in the primary loop, a vented fuel element design becomes more attractive. Yes, there are various choices. But using something other than sodium for the second loop trades you a different problem: dissimilar secondary and primary coolants mean primary to secondary heat exchanger leaks become a potentially serious issue. Sodium reacts with most liquid coolants. Gas coolants provide inert options (eg helium) but are high pressure so you risk pressurizing the normally low pressure primary loop in the event of a primary heat exchanger failure. A less reactive metal would work, such as lead. Lead has not much a reaction at all with steam. But lead corrodes the material that the primary sodium heat exchanger is made of, so you have to use something more fancy. And if there’s a leak of lead into the primary loop then that could cause similar corrosion issues, in the worst place possible (the primary loop and core). So using the same coolant as the primary coolant is the most conservative design option to guard the primary loop. Using a different coolant, more compatible with steam, in the secondary loop would mean better guarding of that loop in tradeoff for the primary loop. But the primary loop is radioactive and our biggest radiological concern here. I think every issue is being addressed as at least within the Fast Breeder Reactor community. It’s hard to believe that no one is addressing the issue of metal fires with regards to IFR and the broader reactor deployment now going on. Barry wanted some links. I agree. The anticipated nuclear power renaissance hinges on public acceptance and a demonstrated treatment of potential safety issues, particularly for advanced reactor designs. The Advanced Burner Reactor (ABR) uses a liquid sodium primary coolant as do certain other advanced reactor concepts. In contrast to today’s Light Water Reactors (LWRs), liquid-metal- cooled reactors present a unique risk; namely, potential metal fires involving the sodium coolant. Fire is a significant contributor to total nuclear plant risk for current generation LWRs. Given “passively safe” advanced designs, some elements of plant risk will diminish substantially. Fires could represent the dominant risk contributor, especially given the unique characteristics of metal fires such as very high temperatures and fire suppression challenges. Fast breeder reactors all over the world use liquid sodium as a coolant and there has been experimental and analytical research done related to sodium fires as early as the 1950’s. The research has included fundamental studies, work on droplet combustion, pool burning, suppression, and large-scale sodium fire experiments. However, there are gaps in our understanding of the basic combustion behavior and combustion mechanics due to the complexities involved. These gaps have led to little progress in understanding the basic combustion behaviors for sodium. (Makino 2006). Many of these same concerns were noted as far back as 1972 (Newman 1972). New technologies have substantially improved fire computer modeling capabilities, but to apply these tools to a sodium fire will require some additional model development and validation work. Unfortunately, most of the experiments performed in the past cannot be used to support model development today. Clear definition of the experimental boundary and initial conditions are necessary to create the modeled conditions, and most of the experimental results lack this information. “Reports of precise conditions in experiments are rare in the literature,” so the heat transfer evaluations have almost been impossible (Makino 2006). This report includes four elements. First, a comprehensive review will define the current state of knowledge for metal fires. This will include actual metals fire experience in various applications. Second, an assessment of advanced reactor concept designs and identification of the unique metal fire safety and hazards was completed. A number of potential safety scenarios exist and will be grouped as to potential importance and representative physics to prioritize the specific research directions that will maximize breadth of applicability to emerging reactor designs. Third, a detailed review of sodium combustion research and potential approaches to the design and conduct of future experiments will be presented. Fourth, Appendix A presents an annotated bibliography of relevant literature identified during extensive literature review. This chapter describes past sodium fires at nuclear reactors and other sodium facilities. The incidents discussed in this chapter were chosen to highlight the most significant issues surrounding sodium fires. These issues include design defects at startup (Monju), pipe bursts (BN-600), sodium spray fires (Almeria), and sodium-concrete interactions (ILONA)1. The Monju Prototype Fast Breeder Reactor (FBR) first reached criticality in 1994. Powered operation began in 1995, and a series of power raising tests were performed, with a planned full-power test planned for June 1996. Monju is a loop-type 280 MWe sodium-cooled reactor with mixed oxide fuel (Mikami 1996). During normal operation, the inlet and outlet sodium temperatures in the primary coolant loop are 397 °C and 529 °C, respectively. Sodium temperatures in the secondary coolant loop range between 325-505 °C. During a scheduled power rating test (40% electrical power) on December 8, 1995, a high sodium temperature alarm sounded at the outlet of the secondary side of the intermediate heat exchanger (IHX) (Mikami 1996). At the same time, smoke detectors sounded in the same area, closely followed by a sodium leak detection alarm. Operators began normal plant shut-down procedures, but after increased smoke was observed 50 minutes later, it was decided to manually trip the reactor. This shutdown occurred approximately 1.5 hours after the initial alarms sounded. Investigations later confirmed that a sodium leak and fire had occurred, ultimately, the source of the leak was traced to a damaged temperature sensor (pictured in Figure 1). The sensor consists of thermocouple wires housed in a protective well tube. It was found that the tip of the well tube had broken off and the thermocouple was bent at an angle of 45 degrees toward the downstream flow direction. A microscopic inspection of the flow tube was performed to determine the root cause of the leak. It was concluded that the breakage of the well tube was caused by high cycle fatigue due to flow induced vibration in the direction of sodium flow. It was found that the problems were rooted in the design of the well tube. Although designers applied ASME standards to prevent resonant vibrations, they failed to take into account the sharp taper of the Monju tube design. As a result, the vortex-induced vibration could not be prevented. The design has subsequently been re-evaluated. In addition to replacing all similarly designed temperature sensors, aspects of sodium fire response and emergency operation procedures were also modified at the Monju site. For example, the reactor will be shut down immediately if a sodium leak is confirmed in the future. A summary of the Monju Improvement Plan is shown in Table 1 (Mikami 1996). As this event was confined to the secondary coolant loop, there was no radiological release that affected either the general public or the plant personnel. However, it has resulted in over a decade of safety reviews in order to re-establish both technical surety and public confidence in the plant. The Monju plant is scheduled to resume operation in mid-2008. The brief discussion of the ABTR is an excellent indicator of the actual developmental status of the IFR. Once again we see clearly that the IFR is not ready for commercial implementation. The ABTR is a sodium-cooled, pool-type reactor based on experience gained from the Experimental Breeder Reactor-II (Chang 2006). It is a 95 MWe design with an estimated 38 percent plant efficiency. The ABTR was developed as a test bed for a similar commercial design-the Advanced Breeder Reactor. The ABTR design uses a 20 percent TRU, 80 percent uranium metal fuel clad with HT-9 stainless steel. A summary of plant specifications is provided in Table 8.
testing and deployment of systems, structures and components for the ABR. A fundamental difference between water and sodium-cooled reactors is the void reactivity coefficient. If the water around the core is voided (boiled, drained) in a water-cooled (thermal) reactor during operation, the power level will automatically drop. The reactor is therefore said to have a negative void reactivity coefficient. In contrast, if sodium is voided in certain sodium-cooled fast reactors (particularly large reactors), it will cause the power level of the reactor to rapidly increase. This reactor is said to have a positive void reactivity coefficient. When the reactor power increases, it can lead to additional boiling and voiding until fuel melts. This positive feedback can lead to extremely rapid surges in reactor power, potentially damaging or melting fuel and cladding. Multiple events can lead to core voiding during operation, and great care is taken in the proposed new reactors to ensure that these events are prevented. They include sodium boiling, loss of coolant accidents (LOCA), and gas bubble entrainment within the sodium. Sodium fires could lead to sodium boiling if an undercooling event is initiated without scram (reactor shutdown). A severe leak in the secondary system, perhaps coupled with cable fires could lead to this situation. A large leak in the primary system could also disrupt flow enough to induce sodium boiling in the core. A sodium leak in the primary system could also lead to either a LOCA or gas bubble entrainment event. A large primary leak could potentially uncover a portion of the core. If gas is pulled back into a leak in the primary system, the resulting bubbles could also reach the core. A loss of heat sink event can be triggered by sodium leaks in the steam generators. As stated above, the standard procedure in response to these leaks is to drain one or both sides of the steam generator. In the event that multiple steam generators are compromised, reactor cooling must be accomplished with backup safety systems. In the case of the new generation of reactors, these safety systems are generally passive in nature (i.e. they require no operator intervention). These systems ultimately rely on natural circulation driven by core decay heat, and so are also independent of cable fires or loss of site power. In addition to these engineered safety features, the inherent high heat capacity of the sodium and structural elements of the reactor will provide valuable time for operators to restore the system to normal. The inherent mobility of a fire can cause a fire to become a threat to an entire reactor system. Numerous examples exist of cable fires causing serious problems in a nuclear power plant. Perhaps the most famous of these is the 1975 Browns Ferry fire, where all of the normal core-cooling functions were lost due to a cable fire (Nowlen 2001). However, operators were able to maintain core cooling with a control rod drive pump not included in plant procedures. The fire at Greifswald burned for about 92 minutes causing a station blackout and the loss of all active means of cooling the core (Nowlen 2001). As a result, a pressurizer relief valve opened and failed to close. This situation persisted for at least five hours and led to depletion of the secondary and primary side coolant inventories. The plant was ultimately recovered through initiation of low pressure pumps, the recovery of off-site power, and the recovery of one auxiliary feedwater pump. These and other incidents demonstrate the need for next-generation sodium-cooled reactors to consider the potential impact of fire on safety systems to maintain core cooling, including the passive safety systems. Every adverse situation cannot be anticipated or avoided. However, if the reactor safety systems operate independent of the plant operators and electrical systems, then these systems can likely maintain cooling until plant personnel put out fires and regain control of the situation. There is one additional factor that is unique to metal fires that may need to be addressed. Conventional (i.e., non-metal) fires are not generally considered a threat to primary plant piping components used in a light-water reactor (Nowlen, Najafi, et al. 2005). This would include the primary piping itself and other piping equipment such as large valves, check valves, and water- filled vessels (e.g., storage tanks). However, sodium fires burn at much higher temperatures than do other types of fires. Hence, metal fires could represent a threat to components and equipment not normally considered fire-vulnerable. 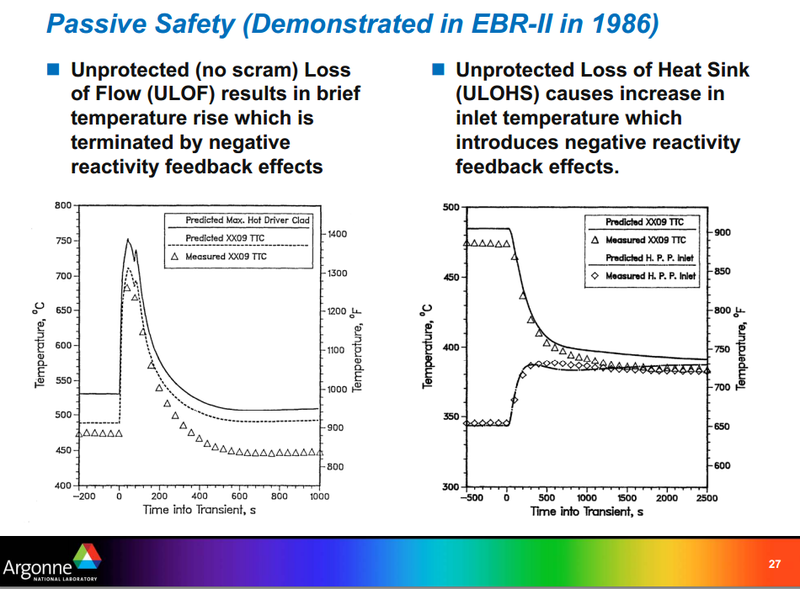 For metal-cooled reactors, the performance of plant safety systems and equipment under fire conditions, including the passive safety systems, should be evaluated in this context. Of all the new reactor designs proposed in the Generation IV program, sodium fast reactors have the largest experience base. Thanks in large part to this experience, numerous engineered safety features and safety procedures have been built into the next generation of sodium-cooled reactors. These features are designed to reduce the likelihood and consequence of sodium release and fire. The risk of sodium release and fire exist during the three stages of a reactor lifetime; startup, day-to-day operation, and refueling and maintenance. Based on past experience, design and manufacturing defects have generated the greatest risk of sodium leakage and fire at reactor startup. Pipes, welds, and steam generator tubes are the most likely components to fail during routine operation. Thermal and mechanical fatigue must be avoided to minimize the chance of these failures. Refueling and maintenance accidents are generally caused by a combination of improper procedures and human error. The experience gained in existing reactors should help to minimize the chance of these leaks. Sodium fires at any facility can cause serious problems beyond the immediate burn area. However, a sodium fire at a nuclear reactor can have consequences beyond those possible at non- nuclear facilities. The most notable consequences of sodium fire at a nuclear power plant include smoke in the control room, core voiding, reactor under-cooling, loss of heat sink, and loss of engineered safety systems. Sodium fires burn much hotter than other types of fires and might therefore threaten plant equipment, such as piping elements that are not normally considered vulnerable to fire damage. Utilizing past experience to develop suitable safety systems and procedures will minimize the chance of sodium leaks and the associated consequences in the next generation of sodium-cooled reactors. However, some unique considerations do come into play with sodium fires. The report conclusion will serve to demonstrate that IFR safety research still has aways to go. This report documents the results of the initial stage of the “Metal Fire Implications for Advanced Reactors” Laboratory Directed Research and Development project. Efforts to date have included an extensive literature search to cover the sodium fire recorded accidents, the proposed LMFBR designs and safety concerns and sodium fire combustion experiments and research. Past experiences/accidents with sodium fires at nuclear and non-nuclear sodium facilities were investigated to identify the types of hazards that must be accounted for when designing the next generation of sodium-cooled nuclear reactors. The risk of sodium release and fire exists primarily during the three stages of a reactor lifetime; startup, day-to-day operation, and refueling and maintenance. Utilizing past experience to develop suitable safety systems and procedures will minimize the chance of sodium leaks and the associated consequences in the next generation of sodium-cooled reactors. A need also exists to improve the state-of-the-art fire modeling codes to include the sodium fire combustion phenomenon. The past experiments did not record the details of the boundary conditions for both pool and spray fire scenarios. A lot of the experiments were small scale compared to the amount of sodium that could be involved in a HCDA. There exists a need to understand the phenomenon of inter-droplet interactions in a spray fire scenario. There has not been any experimental work to address this. Fire is one of the key parameters in a NPP risk analysis. With the GNEP program making progress forward, expertise in metal fires is essential for Sandia National Laboratories. Cyril R — Thank you. Sodium fire has been the major hurdle in fast reactor development in Japan. UK have passed through this stage and are now mulling over the PRISM (metallic fuel, sodium cooled fast reactor) offer. If only there were lead or salt coolant, things would have been smoother. Fast reactor research has been confined to committed nuclear power adherents in Russia, India and China, mainly as a result of sodium fires. Australia has not entered nuclear power stage yet but is a uranium exporter. If IFR had succeeded, the uranium market in the USA and France would have evaporated. I can not visualize the Australia or Canada advocating IFR for the next century or so. .
Looks like the IFR is ideally suited for a reheat helium turbine. The efficiency is a bit better than the subcritical steam cycle, the equipment is more compact and should be cheaper, and helium is inert so you don’t have any sodium reactions in any event. Also a paper from INL that talks about potential improvements in the fast reactor pool, modular passive heat removal systems, and more on the helium Brayton cycle application for sodium fast reactors. Notice the hybrid-loop pool design that combines some advantages of the loop design into the pool design. A possible problem with helium is that we don’t know for how long it will remain available. Would CO2 work instead of helium, or would Na react with CO2? If CO2 wouldn’t work, I suppose that helium would be the only possibility. CO2 would work, in some ways better than helium, in particular it is higher density, but it does react with sodium, quite violently, even producing higher temperatures than with water reactions. Please see the two references I provided above. Helium is “renewable” because it forms from radioactive decay. Most of this finally ends up escaping the earth, but the supply is “renewable” due to the ubiquity of actinides in the earths crust, constantly producing helium. If we don’t grab it, it simply floats out into outer space. But we can grab it quite easily. Air seperation units produce oxygen, nitrogen, and argon and neon from the air, by chilling it (reverse distillation). The final fraction is helium-neon. All neon is produced this way. We can simply use the same air seperation units (ASUs) to produce helium. We don’t need a lot of helium for the turbines. Only about 10 tons per GWe, to start, and then a small percentage of that for makeup (helium, being a tiny atom, is an escape artist). It’s less than a milion dollars if using dedicated ASUs that make only helium and don’t sell the rest of the nitrogen, oxygen and argon and neon. posted 16 March 2012 at 4:18 AM by Cyril R.
The link was very thorough; I should have read it before asking about CO2. It’s interesting that carbon is not listed in the activity tables that I examined. What’s there not to like about this design using helium? All our prayers have been answered.Let us design and build one already. Good idea. Will you finance it? At the time of the design of EBR2, the West was unaware of the Russian trick of bleeding oxygen into liquid lead to suppress corrosion, which may have affected the preference for sodium. Whereas the sodium primary coolant requires separation from the turbine working fluid if it is water, it does not require a secondary coolant if the turbine working fluid is helium. This would require a larger heat exchanger, however helium is a good heat conductor anyway. One could even argue that the helium could be both primary coolant and turbine working fluid. If the primary coolant is lead, the secondary coolant could be air, used as a once through turbine working fluid. This would be easier to design for passive cooling in the event of loss of control power. Being once through, there is no need for cooling equipment or cooling water. The lower capital cost may offset an increased use of fuel, which has negligible cost in a fast system anyway. There is one additional factor that is unique to metal fires that may need to be addressed. Conventional (i.e., non-metal) fires are not generally considered a threat to primary plant piping components used in a light-water reactor (Nowlen, Najafi, et al. 2005). This would include the primary piping itself and other piping equipment such as large valves, check valves, and water- filled vessels (e.g., storage tanks). However, sodium fires burn at much higher temperatures than do other types of fires. Hence, metal fires could represent a threat to components and equipment not normally considered fire-vulnerable. • This results in a low evaporation rate during combustion. – Sodium-air heat of reaction is one-fourth that of burning gasoline. 15 lower than in the case of gasoline. of burning sodium was less than 100°C. average temperature 2 meters above the pool exceeded 600°C. Possibly. The corrosion in lead cooled reactors is due to dissolution of metals such as iron and nickel. But the low solubility of oxides was known before, and lead smelters, containing and pouring lead, have been succesfully used for millenia. The Romans used lots of lead (some say to their detriment). There are various ways to control corrosion in a lead cooled reactor. Adding oxygen helps if the oxide forming layer on the lead contacting alloy is protective. Another option is to add reactive metals to the lead, such as zirconium. The zirconium reacts with nitrogen and carbon impurities, forming a protective film. The third option is to simply use metals, coatings, or claddings, that are not soluble in lead. These then have zero corrosion. Various options are available such as molybdenum. This is the simplest option, chemically, so I like it the most (also because protective claddings are also used today in LWR vessels, eg stainless steel liners on carbon steel vessels). The process of corrosion in lead is much simpler than that in water. Its simple dissolution kinetics for lead versus complex electrochemical potentials in water. Both seem to be largely true, but are talking about different things. The peak flame temperature of metal burning is very high. This does not mean you will find large temperatures 1 meter above that. It is like fireworks, which also burn metals. Stand one meter next to the powdered metal burnings, you’re probably fine, but touch the flames and you get nasty burns. The heat of combustion of gasoline is higher per gram than that of sodium, mostly because sodium is a heavy atom so you can mate fewer oxygen atoms per gram of atoms. One of the things to keep in mind is that the normal operating temperature of sodium cooled reactors is above the flame point of sodium. But sodium-air fires are less violent than sodium-water fires (which is more like an explosion). And sodium-air reactions can be quenched with argon extinguishers, whereas sodium-water reactions cannot. If your engineered steam isolation system fails, you’ve got a serious problem. Besides if steam gets into the primary loop then you can have a major reactivity accident. You certainly want to have that secondary loop, even with helium turbines on the other side. Pressurizing the primay loop is really bad – its not designed for any sort of pressure and also voiding even with helium causes positive feedbacks insertions. If you have a secondary loop, then you can have rupture discs and such in there, which will give way, avoiding pressurizing the primary loop. There are some advantages here in simplicity, but also some big disadvantages. Not having a secondary low pressure lead loop means a leak of the primary heat exchanger pressurizes the primary loop, since the air must be under high pressure in the heat exchanger. This means possibly challenging the containment of the primary system. You could of course design for this but then you’re back in the costly world of high pressure containment. Reducing costs with no second loop, only to lose the cost advantage in a costlier containment. Or you could vent it out but then you risk a radiological release if there has also been some core damage. One of the biggest advantages of liquid lead coolant is that you can’t pressurize the core. There are no possible reactions with air or water or the fuel, and the boiling point of lead is 1750 degrees Celsius, so much higher than any conceivable accident (the system would passively lose the decay heat before it ever got to that temperature) that you’ve eliminated any possibility of a radiation release, even in an extreme equipment failure scenario. That is a worthy goal that can really convince the public. So in my opinion, use the second loop at all times, whether sodium or lead. Also keep in mind that direct air cycles on a lead fast reactor is much less efficient than a supercritical steam or CO2 or reheat helium Brayton cycle. So that’s a consideration as well. If the primary coolant is sodium, the secondary coolant should be changed to a fire-resistant metal or salt eutectic. The sodium could be confined to argon atmosphere of the reactor vessel. This will reduce the fire risk, the main problem of sodium coolant and, as a result, of the fast reactors. This will also keep the reactor vessel free from high pressures. It would be even simpler if it can work by gravity. Further simplification and safety is possible by dissolving the fuel, as chloride salts, in a NaCl-MgCl2 eutectic. Chlorine as seperated Cl37 isotope. Coating for protection against corrosion by salts. It seems to me that advantages of the LFTR / FLiBe approach are that because the fuel is a fused salt, reprocessing and refueling are easier. With the Na or Pb cooled designs, the fuel is fabricated into rods thereby complicating reprocessing and refueling. Obviously there are other considerations. One thing I don’t get in the ANL presentation is the 100 000 year cooldown for LBE. Which isotope(s) are causing this? I thought Po-210 was the primary concern, but it will be gone much faster since its halflife is only 138 days. The only isotope I can find with a fitting halflife is Pb-202 with 52ka, but I can see how that can be produced in any significant amount. Po-209 has a half life of more than 100 years. n,2n reactions produce it from Po210. If you don’t use bismuth but only pure lead, the amount of Po209 produced is about 1000x lower. So no 100,000 year coolant storage issue. Anyways that figure is complete radiophobia in the first place, as it is equal to about 1000 half lives of Po209. Even 100 half lives is paranoid. I noted Po-209, but 1000 halflifes is way too excessive, given that 79 is enough to reduce one mole to one atom. OTOH, 1000 or 100 000 years make little difference in practice for humans. Actually 1000 years or 100,000 is rather important if you believe there is a waste problem. The Egyptian pyramids for exampe are thousands of years old. Then again the Oklo natural nuclear reactors showed that nuclear materials can be contained for a BILLION years in a chemically reducing environment (ie a uranium deposit). But it is not hard to store radioactive materials responsibly on the surface for as long as you want. Put it in a dry cask and replace the stainless steel or concrete when necessary. Use interest on money in a bank account to pay for this as long as you want. Mercury and other toxic metals will still be just as toxic a million years from now. And anyway, a coolant like lead is useful if you have enough lead reactors to worry about polonium. So why would you dump the stuff? Lead reactors take actinides that would otherwise cause dangerous alpha emitting radiation for billions of years, and makes of them fission products that are only dangerous for centuries. So you reduce the radioactivity of the earth for future generations, rather than increase it. There’s enough actinides on this planet to run lead reactors for billions of years. How realistic is The Economist’s cool view of nuclear power?